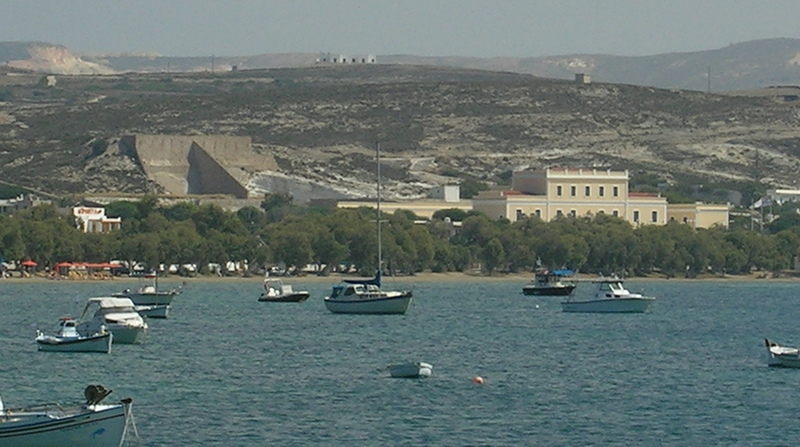 The Milos Conference Center – George Eliopoulos is located at Adamas, the Milos Island’s main port, on a 10,000 sq. meters plot. 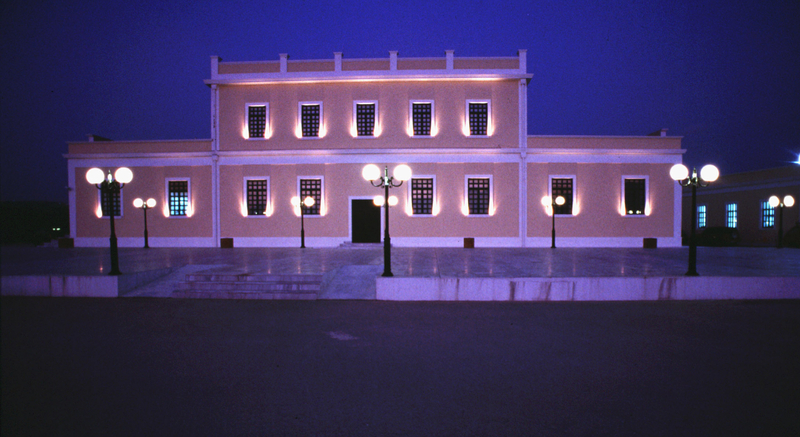 The Center has been established by Mrs. Kitty Kyriacopoulos in her father’s George Eliopoulos memory. 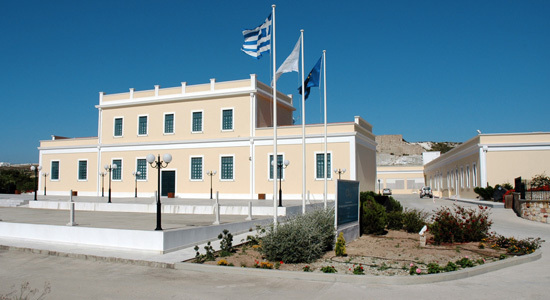 The Milos Conference Center is housed in a restored old kaolin processing plant, built in 1925, overlooking the gulf of Milos. It is an excellent sample of its period’s industrial architecture. 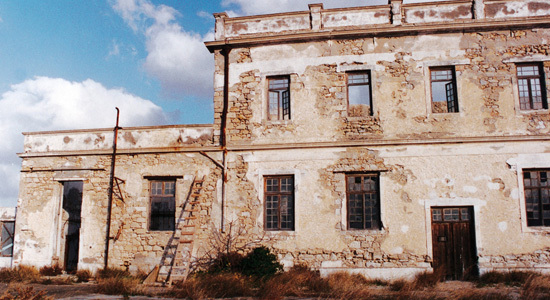 It was abandoned and derelict for many years, falling apart before becoming the property of ORYMIL S.A., a company belonging to Mrs. Kitty Kyriacopoulos. The ruin was fully restored with high aesthetical standards and respect to its original architecture. The initial concept was to be preserved and serve as a characteristic benchmark of the country’s industrial heritage. 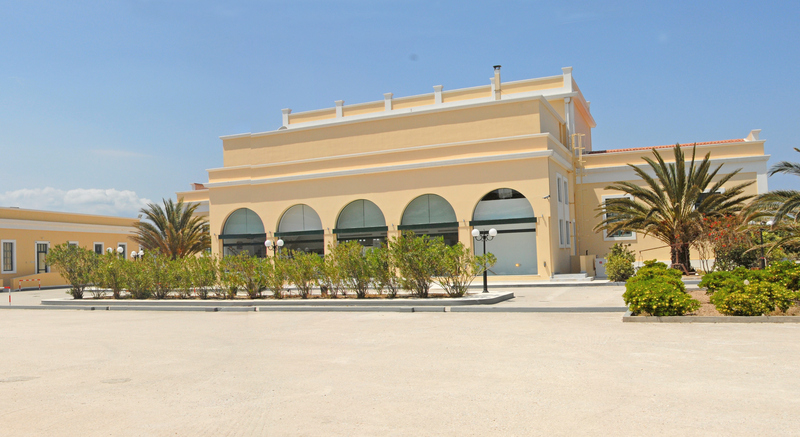 The ultimate decision was the edifice to be used as the home for conferences, cultural and other events, solving thus one of the Island’s perennial problems, the lack of modern large multipurpose halls. 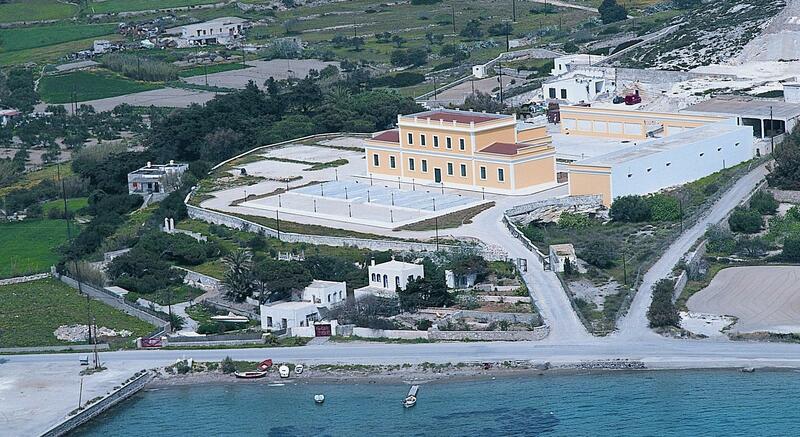 The Milos Conference Center plays a major role in further upgrading the Island’s cultural life, since it hosts not only conferences, conventions, and symposia, but theatrical, musical and other artistic events as well. 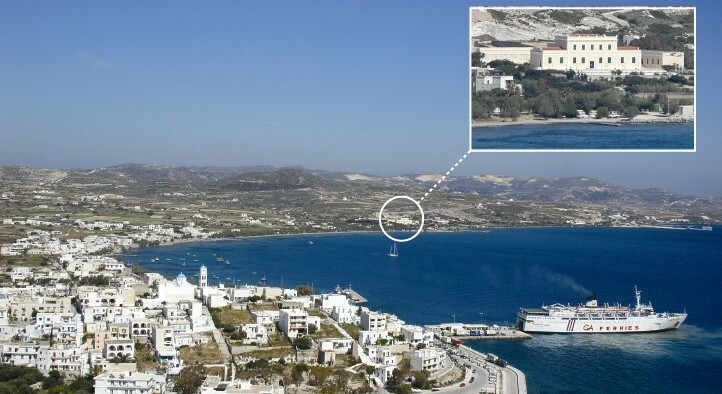 At the same time the Center assists in attracting to the island, alternative high quality types of tourism. 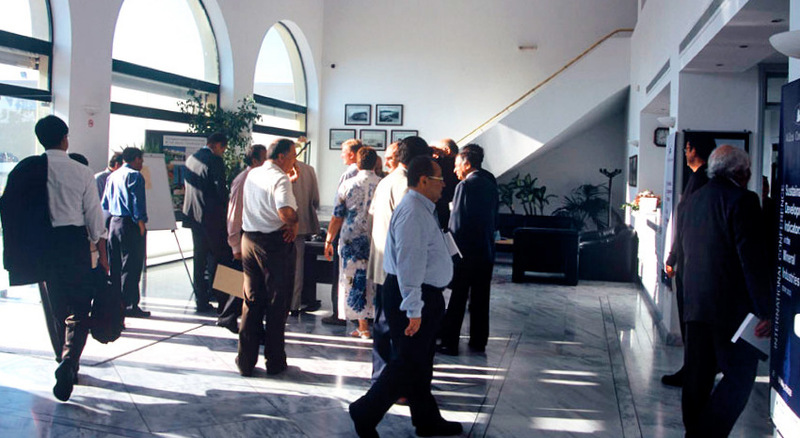 Conferences hosted at the Milos Conference Center concerning the early Christian catacombs found in Milos, promoted the Religion Tourism based on this unique monument in Greece and the 140 churches scattered all over the Island. 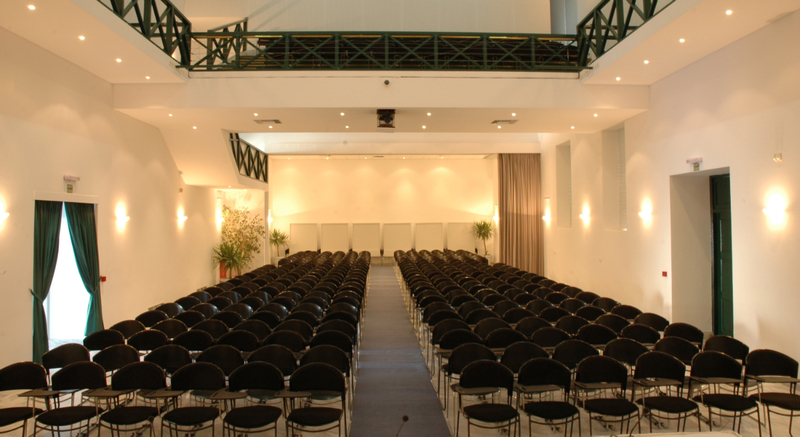 The Milos Conference Center – George Eliopoulos is operated by a nonprofit organization financed by the founder of the Center, reflecting her commitment to contribute to the development of Milos. A good part of the operating cost is subsidized by S&B Industrial Minerals S.A. The Center is designed to function throughout the year. 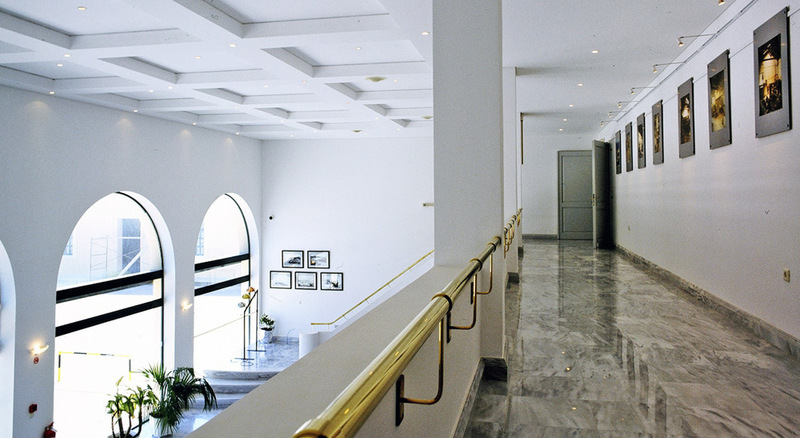 All its public sections are accessible to disabled persons.